Dukono is a remote volcano on the island of Halmahera (Indonesia). There is not much information available due to its remote position, but Dukono is one of the world's most active volcanoes and has been in persistent activity since 1933. 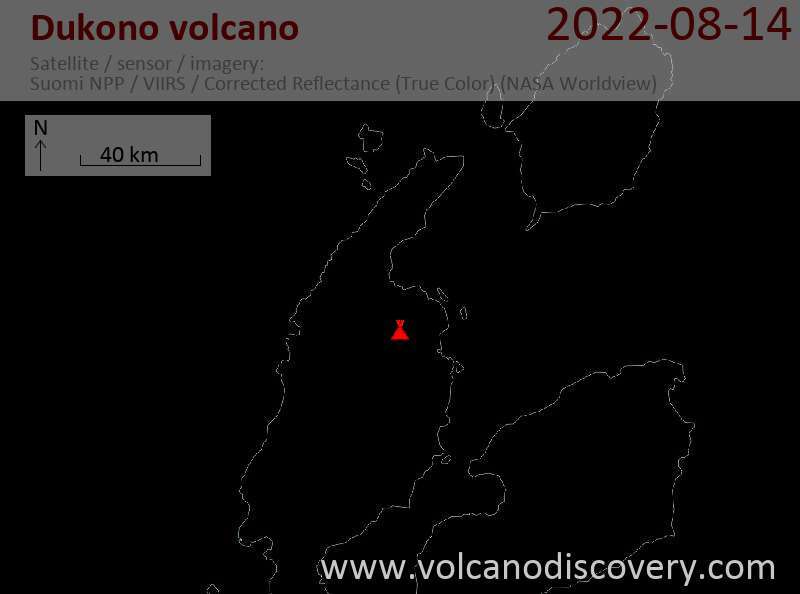 Dukono volcano Volcanic Ash Advisory: VA EMISSIONS LAST OBS TO FL070 MOV W AT 29/0140Z. FORECAST BASED ON HIMAWARI-8 IMAGERY AND MODEL GUIDANCE. Dukono volcano Volcanic Ash Advisory: VA EMISSIONS TO FL070 MOV NW AT 28/1630Z. 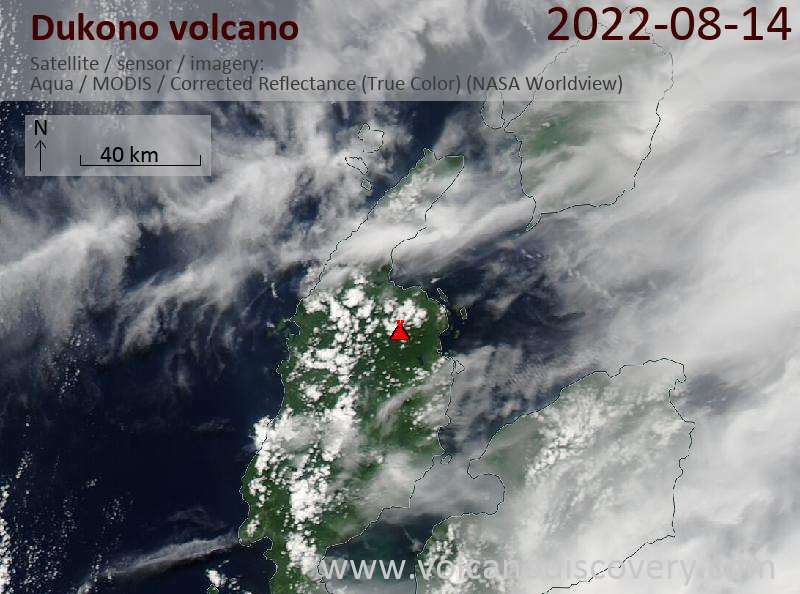 Dukono volcano Volcanic Ash Advisory: VA OBS TO FL070 EXT W AT 24/2240Z. Recent shallow earthquakes near volcanoes: Earthquakes often precede volcanic eruptions. Find out where the latest earthquakes in the vicinity of volcanoes have occurred.